The Firm’s longstanding commitment to charity work includes not only an annual contribution budget but a commitment to working with elderly through Senior Source. We enjoy seeing them every month delivering fresh fruit leading up to hosting their annual Christmas party complete with Santa, gifts, song and treats. We know how important community is and we couldn't have come this far without it. Whether through community service or charitable contributions, we become even more thankful for our clients, friends and colleagues and consider it our privilege to give back. Austin Children's Shelter campus of SAFE! 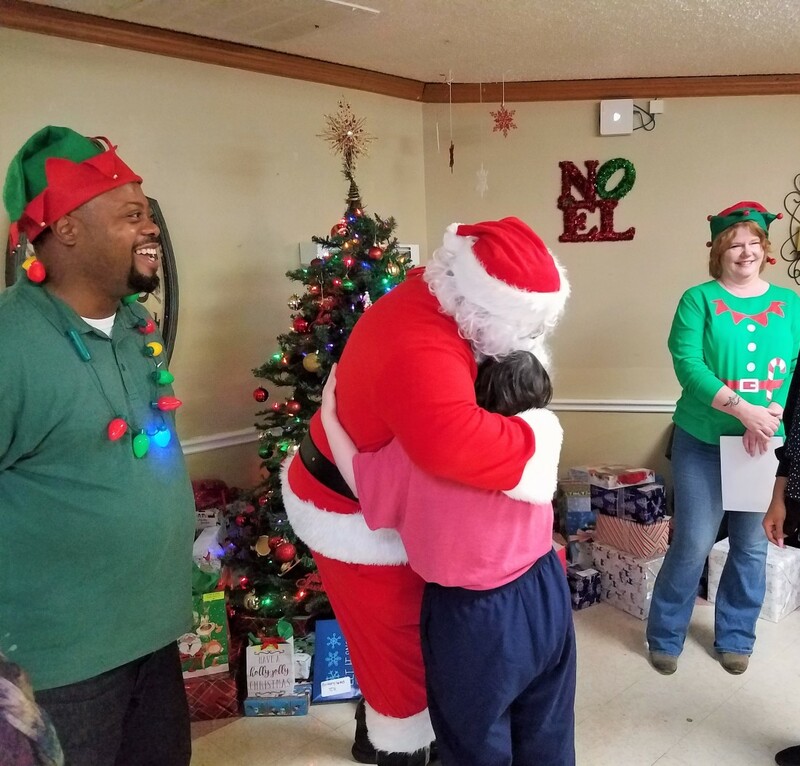 The nursing home residents enjoyed Santa and his elves at our annual Christmas Charity event. Thanks to The Senior Source for bringing us to them. Sorting and boxing up the canned and dry goods for delivery to Christmas Providers benefiting Birdville ISD families in need. Cookie packing party for the Soupmobile to deliver to the homeless in Dallas. Who doesn't like a little something sweet?